New shed boosts storage capacity. 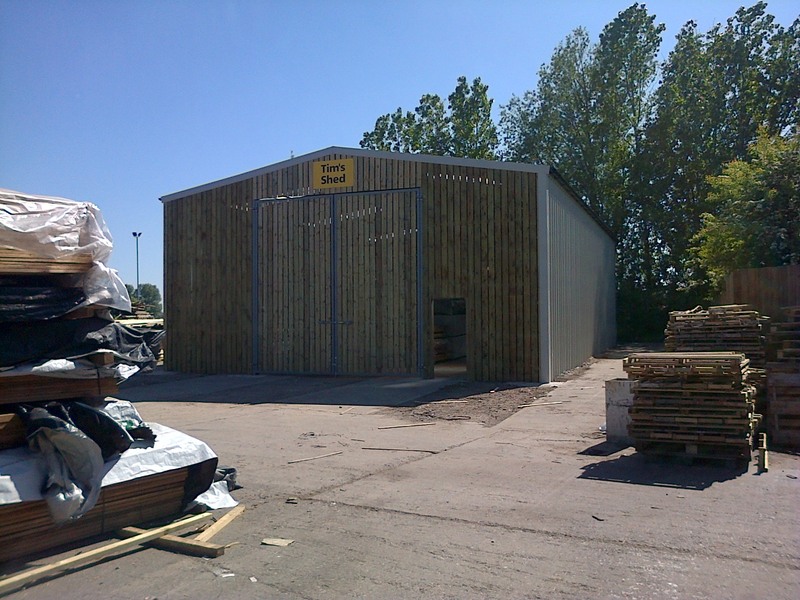 Work on the new timber drying shed, known as Tim's Shed, is now complete. This enables us to store more higher grade timber, such as joinery and cladding, under cover to ensure that it is prime condition before being machined and sent out to customers. The building was put up by local contractors Rick Howell Structural Steel who erected it from start to finish in under a month and have done an excellent job.